Starting the new year out in financial trouble is a hard way to begin a year. If you would rather have a fresh start to your new year, perhaps an auto registration loan is the right step for you. As you take stock of your options and make budgeting plans for 2019, list of all your financial obligations and how you can consolidate and minimize so you have a smoother fiscal new year. An auto registration loan is a loan that takes advantage of the equity in your vehicle versus what you still owe from when bought/financed the initial purchase. A title loan is a loan against the total value of your vehicle, so it works if you’ve already paid off your car or truck and no one has any liens (outstanding loans) against it. So, if you are making payments still, you can get a registration loan, which is for people who are still paying off their car, truck, RV, or motorcycle. An auto registration loan is a loan using both however much you have paid off and your income. So, if your car is worth $25K and you still owe $3K, you can get a loan against the difference as long as you can prove you have enough income to make both the car payment and the new registration loan payment. 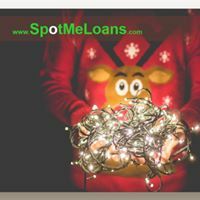 How you use that loan is up to you, of course, but people who are trying to get back on their feet financially find it useful to use a title or registration loan to consolidate other debts so they can pay everything to one place and pay it off. Three credit cards plus a student loan? Put them all into one loan and clean up your financial books so you are truly the master of your budget. The key to being financially successful is to simplify your budget, get on top of it and then stay there! The next key, of course, is while keeping on top to also build up a backup emergency fund so you don’t get into budget trouble again. Use an auto registration loan to get you where you want to be in the new year.